When you hear someone talking about Jun Ji-hyun, then you will immediately be reminded of various dramas, such as My Sassy Girl, My Love from the Star, Legend of the Blue Sea, and many others. But did you know that this beautiful actress has gotten married and already has children of her own? 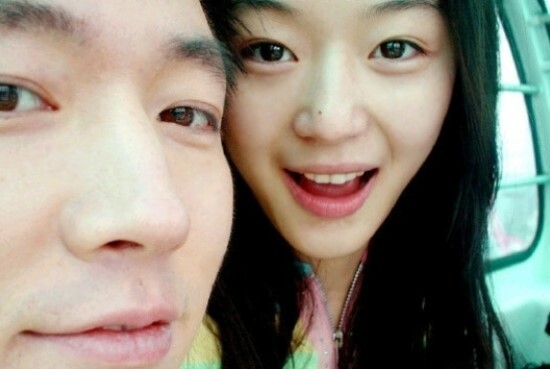 Are you curious about the man who became Jun Ji-hyun’s husband? Before we find out about him and their love life, let’s take a quick look at Jun Ji-hyun’s profile! Jun Ji-hyun is a South Korean actress who was born on October 30th, 1981, with Wang Ji-hyun as her birth name. She also has an English name under which she is known as Gianna Jun. Originally, she dreamed of becoming a flight attendant, but later her mother encouraged her to take try a career in acting. Before making her way into the acting field, she started by modeling for Ecole Magazine at the age of 16. In 1999, due to her pose, posture, and dance movement in Samsung My Jet Printer advertisement, she became some sort of an icon among Korean youngsters. She had her first acting gig in the Korean romantic movie titled White Valentine. Her breakthrough came in 2001 when she was cast in the romantic comedy movie My Sassy Girl along with Cha Tae-hyun. Until now, she has starred in various movies and dramas, such as My Sassy Girl, Blood: The Last Vampire, Assassination, My Love from the Star, Legend of the Blue Sea, and many more. Are you curious about Jun Ji-hyun’s husband who is said to be more handsome than other famous Korean actors? Let’s find out more about who her husband is and how they first met before they got married! Jun Ji-hyun has been married to her husband Choi Jin-hyuk, a banker, since April 13th, 2012. It is known that before their marriage, they were childhood friends from elementary school and met again after they became adults. They had been dating for about two years before getting married. Don’t you think their meeting was just like in a drama? Also, Choi Jin-hyuk proposed to Jun Ji-hyun in the sweetest way possible, which will probably make you jealous of her. He asked Jun Ji-hyun to come to the airport with her passport and they went to Japan together right away. As soon as they arrived in Japan, he wasted almost no time to propose to her. Not long after that, they held their wedding at the Shilla Hotel in Jangchung-dong with more than 600 guests who attended it, including their family members, close friends, and other celebrities. Choi Jin-hyuk himself is the grandson of Lee Young-hee, a famous South Korean designer, who is best known for designing Korean traditional clothes, hanbok. Jun Ji-hyun’s father, Lee Jung-woo, is also a fashion designer in Jangchung-dong, just like Choi Jin-hyuk’s grandfather. Right now, they are a family of four with two lovely sons. Their first son was born on February 10th, 2016. They had their second son on January 26th, 2018. As of now, they still have not announced their children’s names publicly yet. So, what do you think about Jun Ji-hyun and her husband’s meeting? Do you think that their meeting is just like a scene that came out of a drama? Do you want to have a meeting with your fated one just like Jun Ji-hyun? Don’t forget to leave your opinion about Jun Ji-hyun and her husband’s meeting in the comment section below!